Plays a role in erythroblast enucleation and in the development of the mature macrophages. 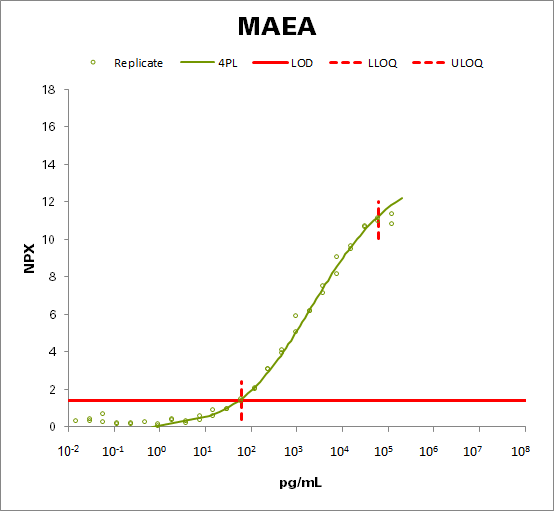 Mediates the attachment of erythroid cell to mature macrophages, in correlation with the presence of MAEA at cell surface of mature macrophages; This MAEA-mediated contact inhibits erythroid cells apoptosis. Participates to erythroblastic island formation, which is the functional unit of definitive erythropoiesis. Associates with F-actin to regulate actin distribution in erythroblasts and macrophages. May contribute to nuclear architecture and cells division events.